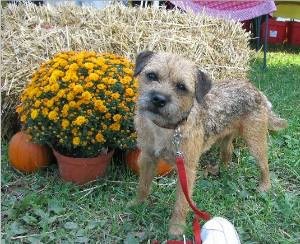 Colin is a true Border Terrier and he lives for the hunt when he’s outside and loves to cuddle when he’s inside. He can go from possum killing to toddler cuddling in a blink. He excels in conformation and many variations of earthdog and hunting. 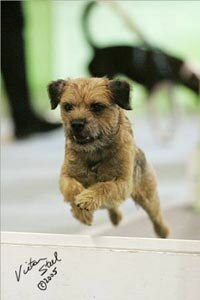 He is also willing to do obedience or flyball if the treats are good enough. Colin is taking an extend vacation from flyball so that he can recover from a groin injury.